Chelsea look to make it two out of two as they welcome Hungarian champions Videoton to Stamford Bridge. Chelsea dominated their match in Greece against PAOK on match day one yet only had an early Willian goal to show for all their pressure. But Eden Hazard in particular has looked in scintillating form this season and the home fans will be expecting three points, particularly after being denied late on against Liverpool through Daniel Sturridge’s stunning equaliser. MOL Vidi were only one game away from the Champions League group stage but lost to AEK Athens in the play off match. They started off their Europa League campaign with a 2-0 defeat to BATE though and face an uphill task to qualify from a tough group. Chelsea are undefeated in the Premier League so far this season but have drawn their last two outings. This is their first ever Europa League group stage campaign and they are favourites to lift the trophy in Baku next May – the year they won the competition, 2013, they only entered after they were eliminated from the group stage of the Champions League. MOL Vidi have made a fairly average start to their season and are already trailing behind the three big Budapest clubs in the league. 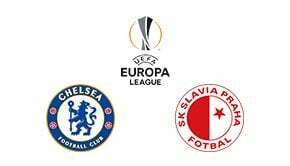 A Europa League campaign may be a nice diversion from the domestic scene but a home win is surely on the cards here – Chelsea to win big, 3-0. Chelsea have looked very impressive this season under new boss Maurizio Sarri and it would not be a surprise if they end up winning this one by quite a margin. Nothing but three points for the home side seems likely in this match and the Chelsea defence are unlikely to be troubled by the Hungarian forward line. These two sides have never met in European competition but MOL Vidi famously knocked Manchester United out of the 1984-85 UEFA Cup at the quarter final stage. MOL Vidi actually made it all the way to the 1985 UEFA Cup final where they were beaten 3-1 by Spanish giants Real Madrid. After winning the Europa League in 2013 Chelsea became the first English side to win the European treble of Champions League/European Cup, Cup Winners Cup and UEFA Cup/Europa League. The last time MOL Vidi competed in the Europa League group stage was in the 2012/13 season where they lost every single away fixture. When Chelsea won the 2013 Europa League they bypassed the group stage entirely by being transferred over from the Champions League. They beat Benfica in the final after three successive 3-1 victories on home soil.